With the beginning of November it's officially time to start thinking about Thanksgiving. 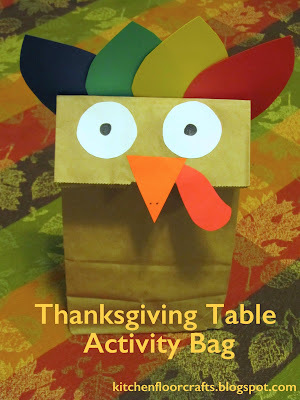 Our Owl Paper Bag Puppet post the other day reminded me of these fun and cute Thanksgiving Table Activity Bags I put together last year. Although we don't usually have a very formal Thanksgiving meal, I still wanted something to entertain the kids at the table after they finished eating and the grownups were still talking. I love having little activity sets for kids no matter where we are, so I put together these activity bags for the boys and their cousins. Inside the bag I put two sets of activities. 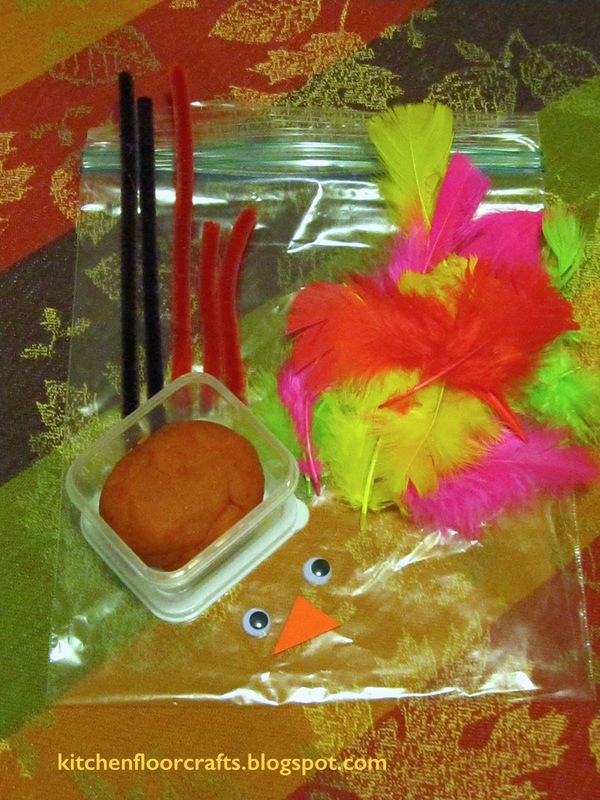 The first was a "build your own turkey" set using small containers of our pumpkin spice playdough, googly eyes, black and orange pipe cleaners, feathers, and a small paper beak. I also put in a set of Thanksgiving stickers (half sheets from a larger pack), crayons, and white paper. 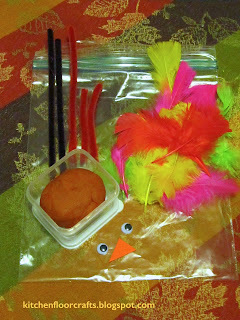 The activity sets were a huge hit with the all of the kids, especially the make your own turkey kits. We'll definitely be making something like this again this year.